Air Lift is focused on providing the equipment to make carrying heavy equipment balanced and peaceful. The AL 52211 AirCELL Front Kit is an easy-to-install air spring kit for vehicles carrying heavy front loads such as a snow plow. Carrying a large haul can make driving a hassle, as headlights are skewed and the vehicle is bent back downwards. 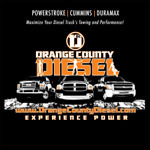 The AL 52211 solves these problems by levelling your vehicle, providing extra suspension, stabilizing your vehicle. An affordable alternative, the AL 52211 AirCELL Front Kit makes driving with heavy equipment as easy as driving without one. 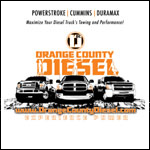 OC DIESEL offers Professional Air Lift 52211 AirCELL Front Kit installation.